More than 650,000 in print! 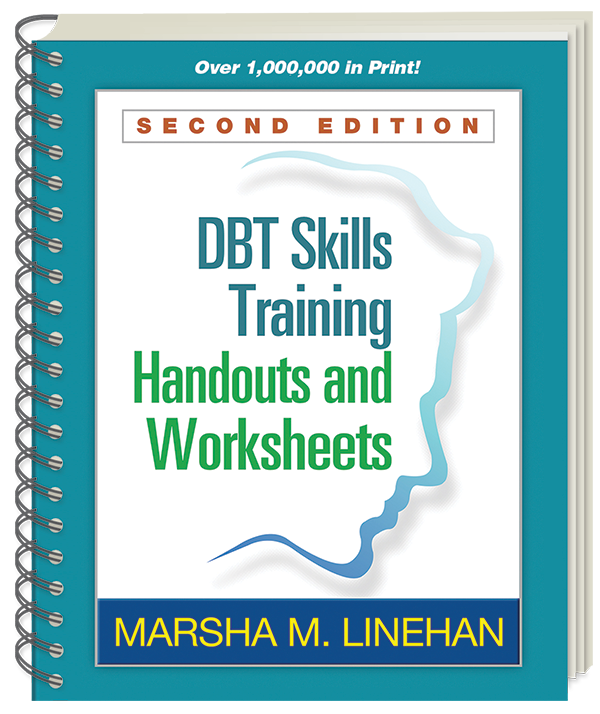 Related title: for complete instructions on using the skills training handouts and worksheets, see DBT® Skills Training Manual, Second Edition. Featuring more than 225 user-friendly handouts and worksheets, this is an essential resource for clients learning dialectical behavior therapy (DBT) skills, and those who treat them. 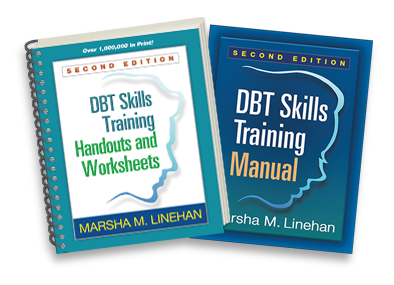 All of the handouts and worksheets discussed in Marsha M. Linehan's DBT® Skills Training Manual, Second Edition, are provided, together with brief introductions to each module written expressly for clients. Originally developed to treat borderline personality disorder, DBT has been demonstrated effective in treatment of a wide range of psychological and emotional problems. No single skills training program will include all of the handouts and worksheets in this book; clients get quick, easy access to the tools recommended to meet their particular needs. The 8½" x 11" format and spiral binding facilitate photocopying. Purchasers also get access to a Web page where they can download and print additional copies of the handouts and worksheets. Mental health professionals, see also the author's DBT® Skills Training Manual, Second Edition, which provides complete instructions for teaching the skills. Also available: Cognitive-Behavioral Treatment of Borderline Personality Disorder, the authoritative presentation of DBT, and Linehan's instructive skills training videos for clients—Crisis Survival Skills: Part One, Crisis Survival Skills: Part Two, From Suffering to Freedom, This One Moment, and Opposite Action.